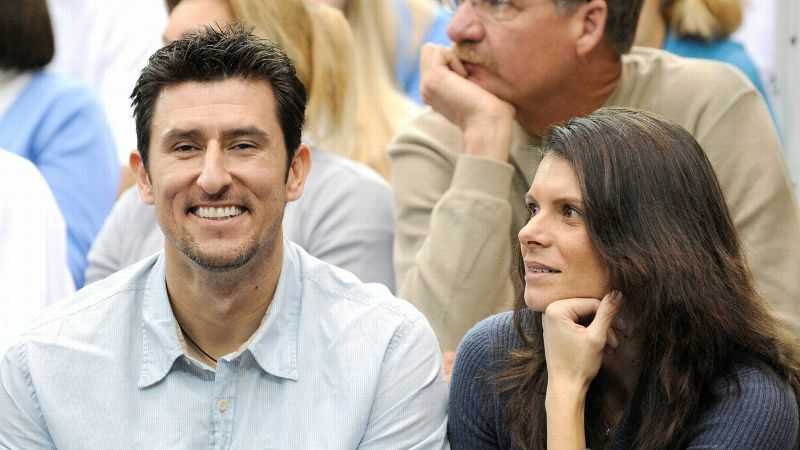 Mia Hamm, seen here with husband Nomar Garciaparra, said that in her new role with AS Roma she will help build brand awareness stateside. U.S. women's soccer legend Mia Hamm said she has agreed to boost awareness of the brand of Italian club Roma stateside, and expressed her admiration for club captain Francesco Totti. Hamm, 42, is to become a club ambassador after replacing former president Thomas DiBenedetto on the advisory board, and she expressed her gratitude to current Giallorossi president James Pallotta for giving her such an opportunity. "It's an honor to be elected onto the advisory board of Roma," she told RomaRadio. "I've seen what Pallotta has done up to now and I will do my best for the club. "When people talk about clubs with a global appeal, then I think they are also talking about Roma. We can make them become one of the top four clubs on the planet." Hamm will spend most of her time in the United States, where she will look to boost awareness of the brand among fans and sponsors alike. "My role has still got to be defined specifically, but my job is to transmit the values of Roma in the U.S.," Hamm said. "When you walk around Rome and see all the giallorossi scarves, you realize that this is the club of this city." Francesco Totti is the emblem of that club. "I haven't met him yet, but I have always admired him as a footballer," continued Hamm, revealing how her arrival at the club came about. "Pallotta knows my husband well and when he invited us to Rome, I thought it was just to watch a game, but he then explained to me all the changes he was making and he asked me if I wanted to join the advisory board." Hamm and her husband, former baseball player Nomar Garciaparra, are also part of the ownership group of a new Major League Soccer franchise in Los Angeles, known for now as Los Angeles Football Club, and set to debut in 2017. Hamm is the U.S.'s most-capped female soccer player, after making her debut at the age of 15, with 275 appearances, in which she scored 158 goals in a career which spanned 17 years. She won the World Cup twice -- in 1991 and 1999 -- and took Olympic gold in Atlanta and Athens.